Since its opening in 1884, Bangor University has gathered many rare books and manuscripts into its Library and Archives. This series of lectures, delivered by experts from across the University, will introduce the public to some of the rare objects in its collections. 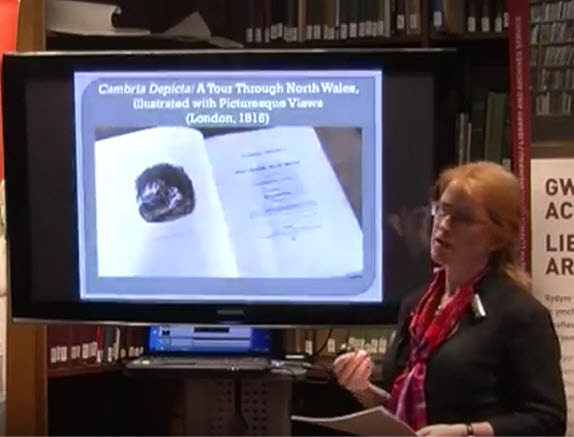 These artefacts include a unique medieval Book of Hours, a Caernarfon printer's Notebook, rare editions of the Arthurian legends, Welsh magazines from the 1920s and illustrated volumes of travel writing. The lectures will take place in the beautiful Shankland Library at the University's College Road site in Bangor and everyone is welcome to attend. The highlight of this year's Shankland Lectures was the launch of‘The Oxford Handbook of Early Modern English Literature and Religion’, edited by School of English Professors Andrew Hiscock and Helen Wilcox. 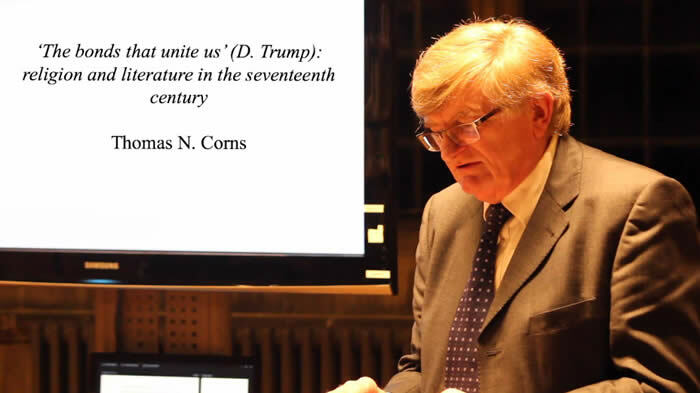 The launch was celebrated with a lecture by Professor Emeritus Tom Corns on “'The bonds that unite us' (D. Trump): religion and literature in the 17th century". 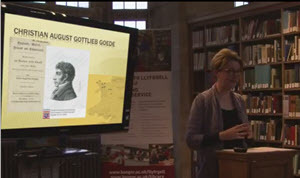 In the Spring Dr Michael Durrant spoke on the early modern printer Henry Hills. You are warmly invited to the second series of The Shankland Lectures, each of which is based upon treasures and rare material held in Bangor University’s Library and Archive. Topics this year included fiddle tunes from Anglesey, postcards from North Wales, portrait frontspieces, ebooks and fowling pieces. The first series of Shankland Lectures began with Medieval books of hours, illustrations of Italy, e-llyfrau, RS Thomas and the Fiske Reading Machine.